Windhoek — The Namibian Oncology Centre (NOC) recently welcomed to its team the first paediatric oncologist in Namibia who recently graduated with a sub-specialist certificate in medical oncology. Dr Lillian Gesami-Steytler obtained the qualification from the College of Paediatricians of South Africa and the University of Stellenbosch's department of paediatrics and child health, paediatric haematology/oncology in 2018. Prior to her studies in paediatric oncology, Gesami-Steytler worked as a paediatrician in the Ministry of Health and Social Services in Windhoek and ran a successful limited private practice at Rhino Park and Lady Pohamba private hospitals, according to the NOC website. She also previously worked as a part-time lecturer at the University of Namibia's School of Medicine, lecturing in paediatrics and child health and was chairperson of the infection control team at Rhino Park. 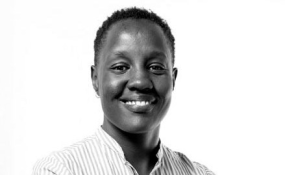 Gesami-Steytler completed her MBChB at the University of Nairobi in 2005 and later went on to specialise in paediatrics at the University of the Witwatersrand, qualifying in 2013. Gesami-Steytler has had intensive training in haemophilia, bleeding and thrombotic disorders as well as infectious diseases in children and is currently studying towards an MSc in Infectious Diseases through the long-distance academy of the University of London's London School of Hygiene and Tropical Medicine. She continues to work as a consultant paediatric oncologist at the Ministry of Health and Social Services in Windhoek and runs a limited private practice from the Namibian Oncology Centre.